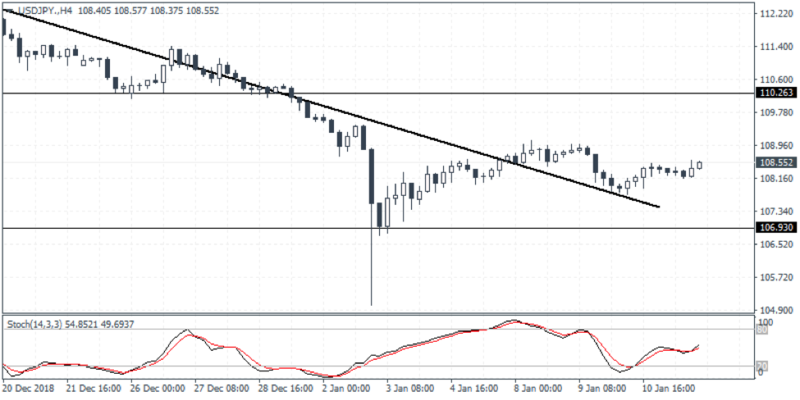 Chart set up: The USDJPY currency pair was seen maintaining its declines last week. However, the momentum is showing signs of exhaustion indicating that the Japanese yen could be looking to turn flat near the bottom end of the decline. This is seen from the bounce off the falling trend line that was breached.